Another extraordinary post John, that Equinox chart is quite staggering. Sincere thanks! 1) my harmonic timing gave the end of the inversion Feb 27th. Wall street made the high March 2nd, +1td. 2) March 2nd is exactly 6*23 CD from the October 15th low. 3) European markets – supported by the solar eclipse- chose to put in one more 23 cd cycle which would bring the high to March 25th. Europe peaked March 24th, -1td. Gann considered 7 to be a holy number. Europe made the high 7*23 days after the October low. If this reasoning is correct it would mean that last Tuesday was the day that markets finally decided to join forces. It would also mean that we are headed for the early May low I mentioned before. Next weak should be revealing. My two week cycle is down into the blood moon, April 4th. My gravity indicators are up, indicating a down week. But I see a theoretical inversion starting March 28th, ending March 4th.This means that the pull of the sun is counter acting the pull of the moon. Not really sure what this will do. My best guess is a consolidating decline into the full moon and then a more swift decline into April 16th/17th. In that case the high on Monday and down into the Easter weekend. But we can be sure volatility will pick up now that both Europe and US seem to have put in the high. If the Vix made a low with the European high it gave a hidden divergence for Wall street. If we have seen the high I have confirmation for my September/October low. Fingers crossed. Great post! Are you currently short, or would you recommend stop orders to get short? Thanks! I’m smallish short. Looking to add more when downward momentum erupts again. I consider there is to be a window when the market quickly falls apart when bold attacking is in order. As I see it that’s where the big money will be made. Thanks. It looks like ISN will end slightly higher than the 0.382 x ISN Peak for 3/2015. Everytime I draw the line, the cosmos is determined to land exactly on the line to test me! The equinox chart is very interesting, showing that IF a major SP500 turn is to occur it might well be at an equinox. But there are 34 equinoxes in the 17 years covered by that chart, with only four coinciding with such turns, so the equinox taken on its own does not indicate a likelyhood of a top. Also, that’s just one market – SP500 – others equity markets have behaved very differently, especially over the past year or so. Just a guess, one weights the stock market more than the other. Its a pity that Dr Yardeni, having highlighted the current difference between these two leading indicators, didn’t look into it any further. I would doubt if either organisation has ever revealed the exact weightings in their calculations – otherwise they would have nothing to sell. Dr Yardeni’s first chart illustrates one major difference – that ECRI being weekly is the more sensitive, wheras CB is monthly. But surprisingly, in 1979, 1989/1990, and 2006/2007 it was the less sensitive CB which turned down much earlier (around 18 months before recession). Personally, I would want to see both of these turned down for at least several months before assuming that they anticipate a recession – but stock markets will also anticipate it well in advance too. It looks to me that ECRI tends to reflect stock market falls as they happen; CB tends to anticipate those falls slightly better. In the meantime, the bullish will find their ways of dismissing the ECRI indicator, while the bearish will find their ways of dismissing the CB one. Gents, the LEI is not dissimilar from many other such indices in that it uses M2 and the yield curve spread between the T-bill and 10-year yields, the latter having consistently inverted ahead of recessions since the 1950s. However, M2 has been highly distorted by Fed printing of bank reserves since 2008, i.e., M2 is growing slowly when adjusted for bank cash assets/reserves, whereas historically the yield curve (or the best proxies available before the 1920s-30s) does not invert ahead of recessions and bear markets during debt-deflationary regimes, as in the 1830s-40s, 1890s, 1930s-40s, and Japan since 1992. Moreover, if one does a bit of cyclical analysis of the ECRI WLI, one will find that the cyclical change rate of the WLI has decelerated to a rate that historically since 1970 has coincided with “stall speed” prior to, or at the onset of, recessions. The Atlanta Fed’s GDPNow “nowcast” implies a Q1 SAAR of just 0.2% for real GDP, which is consistent with the deceleration of retail sales, orders, average hourly earnings, production, and existing home sales. Also, examining the 12-month average of the YoY rate of US civilian employment (household survey including payrolls and self-employment), the change rate has recently decelerated below a critical cyclical threshold as in winter-spring 2008, spring-summer 2001, and summer 1990. This implies that employment peaked last summer (and could be overstated since Nov-Dec) coincident with the beginning of the crash in the price of oil and the peak of employment in the energy sector. Again, the implied deceleration since last fall fits with the deceleration of the ECRI WLI, GDPNow, and withholding receipts. Granted, there has certainly been effects from Polar Vortex II and port and refinery strikes, so it remains to be seen if the “slump” is seasonal or the beginning of cyclical “stall speed” ahead of recession. Finally, is there not a Puetz lunar-solar crash window now open through Apr 8 to as late as May 6? So if US employment topped last summer or autumn, that fits well with the recent drops in monthly sunspot numbers. It appears that in this heavily manipulated “business cycle”, the once reliable indicators may not be as useful as in the past. if its ok with John ………..where can i connect with slater…….in re: to dodge city…………. You may want to look on the roof. Did stocks:commodities peak out on the Equinox too? extraordinary post John, and Thank You for all your hard work…….. This is great work John! The weakening SPXA50 & 200R is most concerning to me. The price may just snap one day. I agree that a price break below March low will destroy the bullish psychology immediately. John, can I ask what vehicle you use to short US stocks? Thanks John. Great analysis and great insights. What is your opinion of commodities? Are they forming bottoms? You are longing gold. I assume you have seen great opportunity with gold/silver now? Thanks. Excellent post, John. Broad view does seem bearish on US equities and how can they rally with negative earnings for possibly the balance of 2015. Long at moment, wish CB chair hadn’t mentioned interest rate increase at close of market Friday. Best shorting opportunities imo will be on or after April 6. Bullish till this Thursday. Bearish (x2) next week. Second trading week of April one of the seasonally worst trading weeks of the year, and add falling tides and post Full Moon. Going to be a doozy of a shorting opportunity. I use a proprietary method of timing the markets. You can email me for a free newsletter if you like which i send out daily whilst im having my coffee and breakfast. I share with you my latest post. Its short succinct and to the point. Its Sunday lunch time and i have had a chance to look at a few charts. To be honest i dont like what i see. The short of it is i believe a major topping pattern is forming which could culminate into a high of the year and a very good shortable trade which may last into later in the year. I am still short but i will exit on Monday and look for another long to the upside into mid April. This could be a strong counter trend rally as we sucker in the last Mums and Dads on stronger price action then begin the summer swoon into autumn, where i expect the bull to resume. Its a huge huge call. The next two weeks are absolutely critical. If we cannot make new highs by mid to late April then we are in big trouble (we’re not). If the market does not let you in Monday then look for a pullback around the 1st,2nd April to get in long. (for now). And the Dax is off to the moon again! Waiting for a re-entry point to go long again! unless there is a sizeable reversal later today. What about if the ‘sizeable reversal’ comes early tomorrow? Or the day after? Nice pop on the DOW and most indices today, stops moved up – let’s see how this plays out. I see the S&P has just clawed its way back inside the broken wedge in the futures. A broken wedge is a broken wedge IMO, so I’d be loading up on shorts right now (12.30pm UK). I suggest one waits for the ” S&P claw” to reveal its strength first before committing a single man. Glad to see the N is back. Why show abcd’s now?Here’s why. I have stressed on a number of occasions that the number one way any trade triggers fails is if the very first thing that happens is an abcd sets up against the trade…that potential exists this morning with price opening up. sold my long at $SPX 2077. Heed to EMA 13. NAAIM Exposure march 25, 2015 at 84.32. Almost extreme bullish. Back to the short side. It’s as simple as this. US markets staged a huge rally simply because…they had to. This is nothing more than maintaining a favourable technical picture as long as possible. Well 302 points is enough for now for me, am taking a look at some other possibilities and will update later. How to reverse a bearish looking chart in one easy session? There is NOBODY on this planet that could convince me that this is coincident. It has occurred time amd time again! How about the economist formerly known as MA and his AI enhanced super computer? Lol not even MA. The man will be proven wrong on his DOW calls and also his hysteria surrounding gold and thus sending investors fleeing from gold and gold stoks right at the bottom when they SHOULD have been buying. And I WILL be reminding him when it is history. Congratulations to all the winner traders on the long side today! I am positioned to ride this back to ATH by Thursday. The candles are going to grow like green grass for a few trading days, almost certain based upon lunar chord seasonals and this formidable green candle today. Valley.You the best. I was surprised by the strength of the oil sector. Serves me well too since I have plenty of oil stocks. Another glorious day. I must admit to going slightly short nikkei in a double top style play – but will not take too much risk on this one. Is the Euro “second chance” sell off over and its rally to resume? Valley, you have made some very accurate trading calls since the beginning of March and hats off to you. I am bullish on equities mid-term to further out (i.e. two years) but near term for the month of April I think it is going to trade much more choppy and range bound than I initially thought. Originally I figured it would simply zoom up almost non-stop from late March to mid-late April … and maybe it happens. But I reviewed both the AAPL and SPX chart and both charts indicate the price action from early Dec to end Jan will be mirrored in the action from early Mar to late April. And the price action back then was range bound sideways consolidation. If this is indeed the case then this is a possible scenario. Markets could stall as early as tomorrow Mar31 (or as late as Apr2). It then sells off to end the week on Apr10 and retests the level of last week’s low. A one week rally occurs the following week to end the week on Apr17 and retests this week’s high (probably around 2100?). It makes one final sell off to end the week on Apr24 and again retests the recent lows again. If around Apr24 and it is near the range bound lows without breaking below it by much (if it even does), then you will want to go ALL-IN long by then because it will make a roaring rip in your face rally over 100 points by May 15 to new ATH above 2150. Good summary. Will look for your prediction to benefit you and I hope you make a lot of successful trades based upon it. I see bullish this week, and bearish next; that is as far as I have calculated. Congrats to valley, newt and other longs on the board. Great call! I almost went back in short today, but hold fire for now. On another note, the 50% Fibo retrace of oil looks complete, that I am anticipating a bounce from here. Miners is tough to call now. Not sure what direction of gold/miners from here. I am nicely banking coin by this simple rolling strategy on GDXJ (JNUG/JDST). If todays intraday price exceeds on of the previous two trade day closes go long intraday and stay long all day and into next day. Stay long until intraday price closes below one of the previous two trade days closes. Going to ride GDXJ in this way until this summer imo which will feature a 50 to 100% increase in the GDXJ from August to September, during which if it occurs I will buy JNUG for a month or two with a small amount of capital. I find it very difficult to see, never say never. Phil, as I mentioned before my theory (mid-2014 to 2017) is based on an analogy to the late 1926-1929 time period and related to how a collapse in the bond market will have those exiting funds scrambling into the last haven of decent returns which is US equities, resulting in one final parabolic manic surge before it collapses more than 60%. What many fail to see Phil is that money has to find a home somewhere. 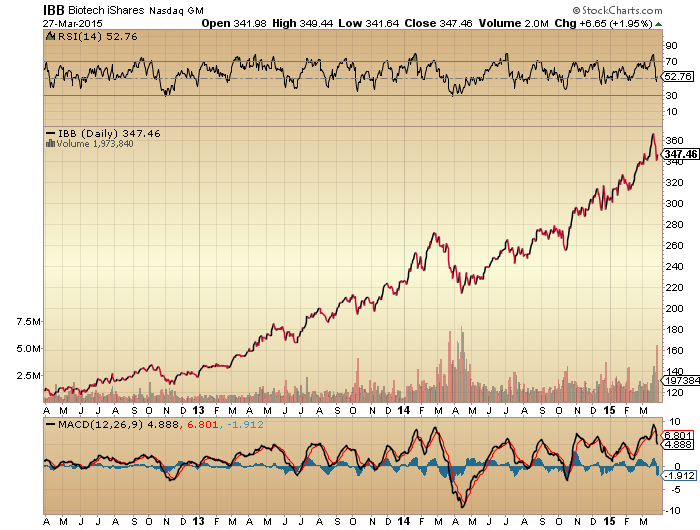 US shares could easily go parabolic, and it will have nothing at all to do with ‘US macro’. It will merely be money flow. We should see the EZ sovereign bond bubble burst first, starting with the Greeks and Spain. That money will head to other assets, both US shares, US treasuries, gold, gilts. 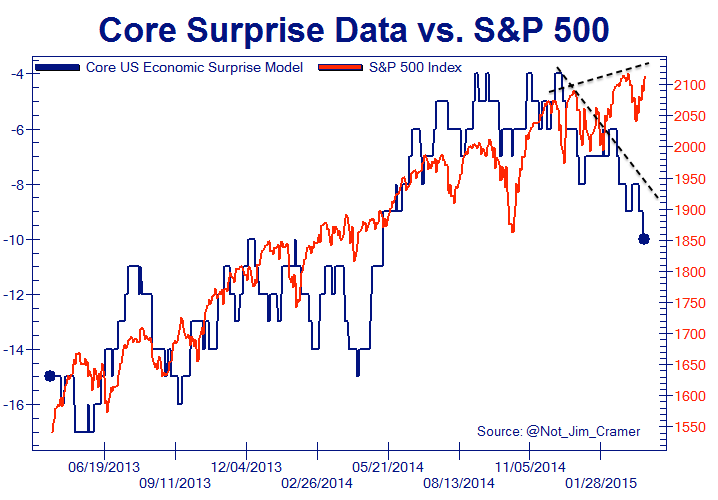 Fundamentals and macro data stopped being relevant to anything last year. Just follow the money. We are all Martin Armstrong. You know you’ve reached the low in gold and gold stocks when junior gold explorers give up. This may be your secret sauce, however, can you reveal what factors are included in creating the blue line of this time cycle? Is this based upon technical price data or extra price factors such as seasonals or lunar phases, etc.? This is based on seasonal price data which has been plugged into my proprietary model there are some seasonal factors built in based on Ganns longer term cycles. Nothing lunar or solar related, or none that i know about. Most cycles can somehow be linked, cause and effect is a different matter altogether. Humans are specialists are making the meaningful out of the meaningless. Thanks for the info.. Good job with finding this patterning system and hope you are successful in trading with it. Thanks Valley. I trade the shorter term cycles within the larger moves which are those those shown here. Can I ask time cycle chart you have posted above has top in which month ahead? Adding a further word of warning in blindly following MA. Some years back,and admittedly while he was still in the locker, he said the AUD would rise to at least 1.76,and probably 2.00 before a pullback. Well it reached 1.06 and has fallen to 76 with more likely to come.He reckoned the first resistance would be 1.16. Maybe with so many hanging off his very word the smart trade is the fade. a home, a need for yield/return. view it a little differently. early last week will come back with renewed focus as summer approaches. that view will be invalid. 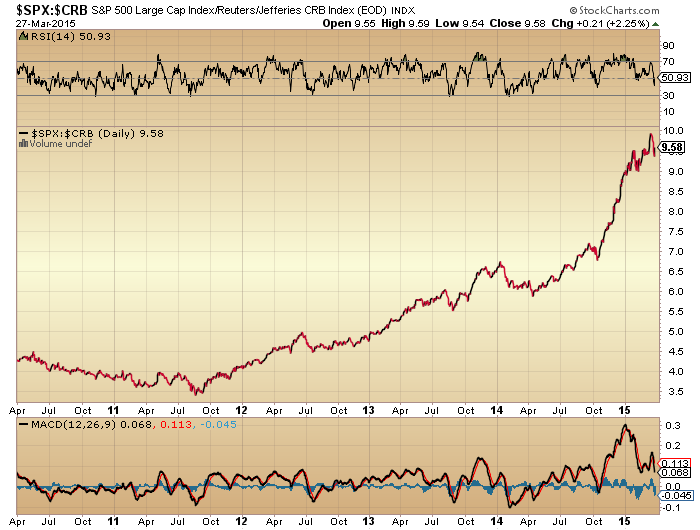 The $ index looks a growing issue and it’s not going away. Phil, I agree with you on the macro right now. But I expect there will be a time when money seeks US assets, but not for yield/return, simply for the perceived safety of dollar assets. But that time is a little way off, next year at the earliest. Another quintuple test of the broader NYA index near 11000 is upcoming, a failed test could see a sell off post the jobs report, Vix (no new lows) action also suggests downside ahead. Nikkei short closed as I suspect there will be volatility equal to the last few candles there. Not quite 300 points on this trade but it will do. I will be a buyer of DAX most probably, just not quite yet. I am looking again at DOW – exited at 17980 yesterday, I may have a go again on the long side later today once I have had some time to have a more in depth look. An awful lot of you eager to go long. I think the BTFD conditioning has worked a treat. I don’t mind which way I trade, so I am BTFD and STFP at the same time…. Always use guaranteed stops though, that way you won’t be too scared to make money. Another bear trap for the Dax and ftse. gone maximum long on FTSE for The rise back to 7000. Holding off on the Dax until 11700 or below if that happens. Not so positive about US stocks though. FTSE just selling off now, will wait a while. Got in a little too early but happy to hold. 7000 is a big resistance but once we are over that it should set us up for 7500 this year. The FED talk rubbish. They will not raise rates this year. The economy will perform too poorly. You left out the whole Mid East crowd – both lots of Zealots!! LOL!! I do like your sense of humour Aaron. Margin debt for Feb. is higher. VIX is relatively low. Yield curve frozen. Sell off here would be surprising for sure. WT markets love to surprise. Hey all, had my short break (too short) in Madeira!! I would highly recommend the place to all and sundry. Lots of things to do for the whole spectrum of ages!! Someone here said the approach to the airport is amazing. DITTO THAT!! Their runway ends up over a cliff into the sea!! So definitely great fun as long as you don’t ‘go over board’. Any way been reading all the posts here and as usual the quality remains top notch. Congrats to all those that got Monday’s up swing. However I wouldn’t hang about for long. I hope to post a wave count later that suggests something dire….although equally my ‘End of the World is Nigh’ scenario may have to wait a bit longer. haha, yes I see what you mean – but did they define what a “dip” is? 1 point? 10 points? 100 points? 1000 points? If you don’t mind me asking, where da stop at? Hi folks. Sorry for the delay, i was away. I’ve got to spend at least a portion of the obscene profits I’ve made recently. Huge day yesterday based on new stimulus from the Central bank of China. I hope they will join the other central banks and announce a huge asset-buying program. It would be great. What do you think ? Who’s the next central bank to announce QE ? Profits from selling? Or unrealized gains? WT, you DO ask awkward questions!! Lol. Nic, thatt opening line is hillarious!….in all seriousness however, look at this linear chart and tell me you confident that the ascent will continue and that weekly reversal is nothing to be wary of? And ya thunk there might be some problems brewing in Chinese markets that stimulus just won’t help given that the Shanghai’s move in less than 12 months is the most extreme move that I can ever recall in any major indice, aside from perhaps the Naz in 2000/01? Long SPX now, 2074 – stop at 2063.
purvez, the airport landing is an experience. chance to go grab it. Aah it was you Phil. Yes quite spectacular to come in and see the runway first and then take a wide sweep before landing. Enjoyed it hugely. Calling all astrologers! This weekend! Sun trine Jup Apr 2, Sun sq Pluto Apr 5, Sun conj Uranus Apr 6, lunar eclipse blood moon Apr 4, Bradley turn Apr 3. This comes from Brad Gudgeon on Safehaven and themarket oracle. Says he is number one Trader Trac timer for 2014. This stuff except Bradley has never worked for me. What do you guys think? All that stuff plus crashes start at a lunar eclipse peaks my interest anyhow. Hi Kent ! Yes Uranus looks well positioned right now, so it bodes well for IBB. Also, Pluto looks colder thank normal for this time of the year, so shorting GLD would be appropriate. Yes, Uranus looks well positioned from here, too!! But seriously, Pluto colder than normal?? Really?? And this effects Gold how?? That said, as has been said before by others, this ~really~ has to be a big joke, right?? Is the causative link between precious metal pricing and Pluto temperature that precious metals are cool to the touch? If Pluto is colder, and GLD is the same temperature then that is a divergence. Yes very likely from my model of planetary. Bradley’s calculation adds up all those trines, sextiles, squares, oppositions and conjunctions for you – there’s no need to do it all again yourself. Trannies look decidedly bearish and we all know what DOW 101 says. Could this move mirror 2012 and we go sideways for 12 months before blasting higher or do we go much lower? I’m leaning toward the later. Looks like ISN will close 3/2015 at around 38.2% of the 102.3 peak, or 39.1. This is testing my theory that we need ISN to drop significantly so that the manic shield is lowered, opening the way for geomagnetism to attack. Do we need to be strictly lower than 38.2%? If so, the market peak is 4/2015 or later. Or would this do? In stronger cycles, market peaks happen due to alcohol overdose, with ISN at solar max. In weak cycles, it occurs the next day during the hangover. Alcohol has dropped from the peak. ISN has dropped from the solar max. John Li are you describing markets or have you had a sneak peak at my liquor cabinet? Lol!! I was probably describing my college days when life was easy! More troll-like for every week that goes by. I have an instinct for this type of person. You will see…. Thanks to Nicolas’ advice, I am shorting SPX and buying miners GDXJ and oil UCO today. I went long some JNUG this morning, but it had nothing to do with N, or anybody else either, FWIW…. Thanks. Good luck to you too Barry. My GDXJ got stopped out for a little loss. Be safe than sorry. It looks like gold intermediate cycle trough is already behind us, but this thing may keep whipsawing. Hi erick ! I think you misunderstood. I recommended increasing exposure to biotechs and shorting gold. Nicolas: I have learned to do the opposite everytime you go on JH’s site to “recommend” anything. But thanks though. Covered my shorts. SPX 2,070. My winning percentage is 90% in the 1st qtr. So lucky.I need to calm down. 80% of my time is spent on calculation risk/reward and pick the point of inflection. Never predicting the future. 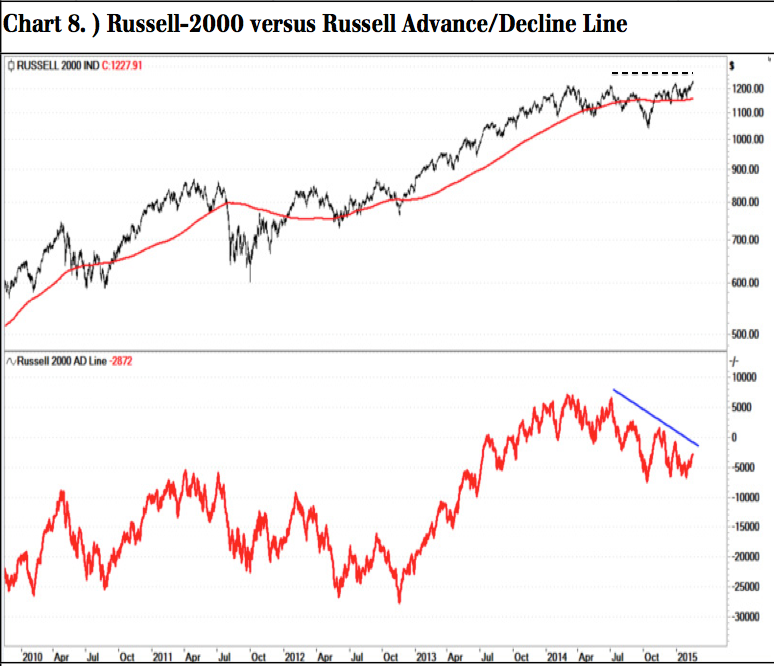 Global indices are finding it increasingly difficult to maintain momentum and that means that all you momentum traders are going to have to adjust at any moment and accept that a major trend change is underway. The more volatile the better for the traders who can ride the wave of optimism and pessimism. This is the game. Newt I hope you can ride it and not get stuck in a long position in the face of a freefall. I know freefalls are rare events, however I really feel as John does, that we are getting closer to such an event. Stops will not save you under such cirumstances as bids will completely evaporate. The economist formerly known as MA believes the market is going much higher for the next few quarters. MA would say now is not the time to avoid equities. I am out of SPY. Can’t take the heat, so will leave the kitchen until tomorrow. Bon Appetite. Welcome back, vacationers. Can’t blame you as the battle continues inside the Darvas box. Every one should be trading the Shanghai Composite, up 70% in the past 8 months. Odd how the Chinese seem to have reacted to the solar effects by blowing a manic bubble? Trading as in long or short? Serious question because Chinese govt can always change the rules against short selling etc. 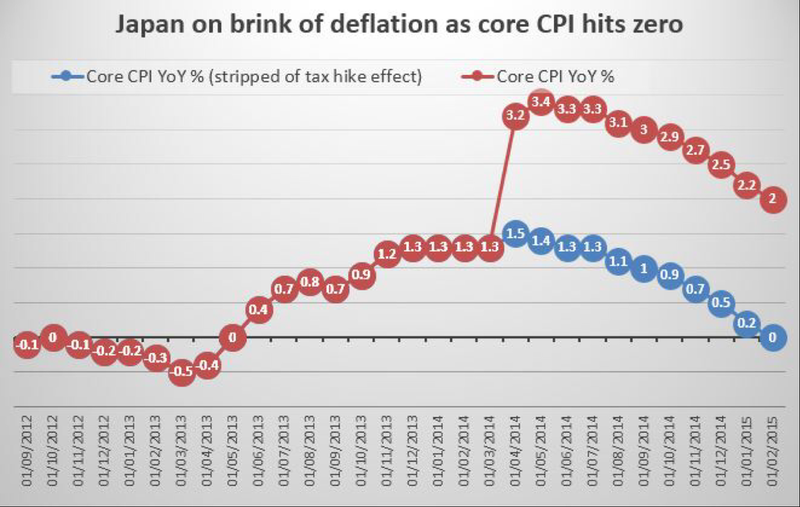 Alternatively, you can short say Hong Kong which is up less, but use leverage. I meant long (over the past 7 months). Not now however. I haven’t had a guaranteed stop fail yet? How does one make money by not doing anything until a biblical correction occurs? JS, stops are fine in a rational market. This is far fom a rational market. It is the second most overvalued market( a case can be made for the most overvslued) in history that has morphed into something that is unrecognisable in terms of what a market used to be and behave. This will end badly, i have very little doubt of that fact. Allan, Marshall McLuhan once said “the media is the massage”. Meaning that the media has morphed into being the content as it is so transformative to have people sitting around boxes watching flickering lights on a screen. IMO the modern markets are the message. The intl. fascination with and participation in the equity markets is going to tighten and broaden cross cultural economic and social ties. As part of this transition the markets may become more stable and managed just like a sophisticated entertainment industry. Assuming this meme is accurate, look for ways of profiting from it (trading effectively bidirectionally based upon rational (not Pluto’s surface temperature) techniques that you personally manage. Several traders on this site have apparently succeeded in achieving a greater than market return probably with much less risk than buy and hold. There are hundreds of chat rooms in which a variety of instruments are traded and for a few hundred dollars a month you can participate in whatever method you are interested in. Markets have become the new retirement account for soon to be billions of people worldwide and so a mega fall in equities if it occurs will not last imo. To wait for it, instead of crafting your skills in trading seems like the wrong direction, especially if by becoming skilled in trading may allow you to profit from it. Ah, so it IS different this time eh Valley? Well, the Chinese are following your advice, that’s for sure. That sure looks like a stable and managed market in Shanghai. I estimate that ISN will come in at 39.2…this is higher than the 39.1 level which is 0.382 x 102.3 solar max. Meanwhile we get solar and lunar eclipses and a big geomagnetic storm in 3/2015. Meanwhile, SPY closed a touch below the 50SMA for the 6th time this year — perhaps 6 times the charm? Or perhaps 7th? ES is getting clocked over Greece funding again. Another opportunity. Wait for the inflection point. May be too many longs have gone too long and are getting nervous. Glad I bailed. As unlikely as it seems, tomorrow has the possibility of being a 2% gap up day. Going to dry powder it, but will pile in if market starts climbing. Interesting hours ahead until Thursday’s close. Stay greedy my friend. ES –last Thursday’s low of 2,033 successfully tested so far. This is a positive. We will join Martin A. if and when the parabolic comes. $NYAD and $NYUD (cumulative) both have a positive divergence to $NYA’s price which is doing an IH&S……so there is absolutely a chance to see a parabolic if there resolve upward. Also, are you adaptive? Can you change when the situation changes? A likely pattern next two days is large green candle tomorrow closing 1 percent above todays close, and follow up green candle Thursday closing 2 percent above todays close. Would fit nicely with Yellen’s Thursday 845 speech where if she says anything dovish would give markets green light to rally. Will spin the wheel tomorrow morning on bullish side mid morning if it looks like this pattern is playing out. Ms. Merkel can soothe the nerve and cause another short squeeze. Politicians do not allow uncertainty. exports would flourish with the likely exchange rate. Money would pour in to the country with investment. GM, you said to me on Monday re any sell off ..
this week would indicate selling momentum had failed. But then Greece came back in to focus ..
SPX long stopped out last night, long FTSE and NIkkei this morning. If we can breach some congestion around the 6820 level, this may turn out ok. On the Nikkei looking for a retest of 19300 area. Stops are somewhat tighter than normal but in profit so will just let this play out. their economy and countries like Greece suffer hugely. Phil, I have little time today. Germany never suffered from its currency, it prospered over decades due to hard work and quality products. You have ‘bought’ the meme that devaluation helps, it doesn’t, it wipes out capital. Go and google internal v external devaluations, your views should change. The Euro is an excellent currency, the issue is the debts that our current monetary system allow to accrue. That will change, slowly. BANG goes the DAX again. Very simply BTFD market over there. Looking a bit worrying for US markets though. FTSE should be on its way back to 7000 i think. Unfortunately i was in deep with the FTSE so missed the dax rise. Picked the wrong market last few days. I was slightly concerned but was too busy reading about a real tribe of Leprechauns found on an island off the Eastern Coast of Ireland at 9:12AM this morning. Since this was the same time as your post, I spent the morning reading about these interesting creatures who have the ability to locate gold under rainbows ends. Now this type of approach indicates the forthcoming solar (sunspot) minimum between late 2015 and late 2016, and the SC25 max between 2019 and 2023. Just viewed this update Mark, seems sunspots today have all but vanished, not for good of course, but temporarily. So it would be extremely interesting if this lull coincided with a crash. Let’s see. went long. advance vrs. 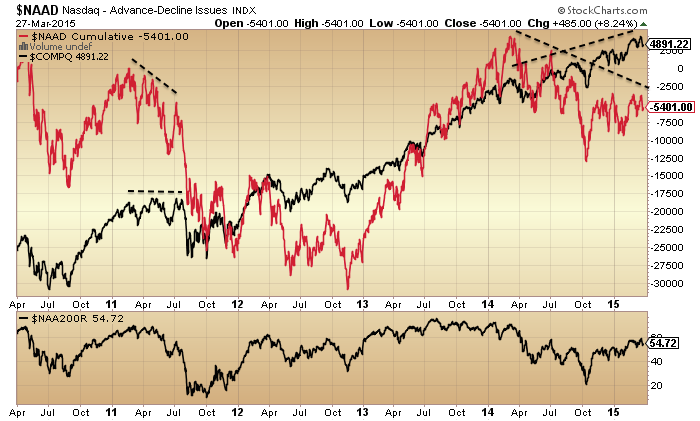 decline issues positive divergence and hooked (up). Sunspot numbers are definately low GM, but have been lower several times during SC24 max. The monthly average ISN has dropped very close to the bottom of its plateau, but hasn’t breached it so is indecisive (the SC16 breach marked the beginning of the crash in September 1929). It would take very little for some of these to increase very slightly, and therefore keep this maximum slowly dwindling away for months to come. Some of them are at mid latitudes too – not really typical of the final stages of a solar max. And if the sun reaches its next minimum soon and then reaches its next max in only 4-5 years time (as I suggested above), then there will be very little respite from all this excitement, speculation and aggression etc. There’ll be noticably cloder temperatures too. Thanks Mark, we will see. Keep us posted please. GM, I disagree on the Euro. Greece should default, leave and be done with it. Greece will default, don’t worry. No need to leave a stable currency though. What’s pernicious is perpetual devaluations, robbing savers of their futures at the expense of the profligate. No more in the EZ. Hurrah. So after W-4 we still have to look forward to another larger scale A,B,C pattern to finish W-5. The thing that is going for this pattern is also the thing that worries me about it! If this pattern is correct then we get John H’s 10+% down AND we get a later ATH as predicted by others, either in Sept/Oct or perhaps even later if that larger scale ABC is drawn out like the 3rd wave. So this would fulfil both lots of projections……BUT Ms Market doesn’t like fulfilling ANY Projections so therein is my Achilles heel. You puts your money and you makes your choices. GL to all. I’m currently short DJIA with a stop at 17800 latest although I’ll probably bottle out earlier. ‘or perhaps even later if the larger scale ABC is drawn out like wave c of 1’ is what it should read. Sorry. Attack the imbalance. advance vrs. decline issues positive divergence and hooked (up). Internals pave the path for price to follow. $NYAD is now up from a -702. Newt, please may I ask, where are you getting your ‘Internals’ data? Is it from a premium Stock Charts service or something else? Thx in advance. I’m only getting end of day data not intraday. What am I doing wrong? some are real time data. e.g. Try $NYADV and refresh periodic accordingly. Thx I’ll give that a go. Congrats to Barry. Our miners/oil bet is playing out nicely. And with JNUG, it’s ~really~ “just a trade”…. You are right Barry. NUGT/JNUG decays like crazy, so that is smart that you are treating those as just a trade. Great day trading tool though. I am in GDX/GDXJ simply because I might hold them a little longer, weeks, or even a month. It looks like gold is at an early phase of wave 3. I am hoping wave 4 would take gold over 1350. I still have some GDXJ, but I, like many, are underwater on that…. Go miners. Go gold. Nicholas’s idiocy proven one again. GM at least Nic has an excuse……what about Martin A? The day that man starts talking again of gold going parabolic is that day I begin to seriously think about selling. Touche, I was trying to be humorous. Which is the word when it comes to trying to understand oracles of forecasting especially when they have a views that lack common sense. While MA is a genius and is highly entertaining his views on AU don’t seem likely. GM, as a Gold Man, I see you are pleased by the rise in AU as it validates your world view that as “real money” with no counterparty risk AU is a slam dunk winner in the currency game. I am somewhat reluctant to join this view, when Martin Armstrong and his AI enhanced supercomputer have clearly proven that gold will be going much lower. I believe one of the more cogent and successful traders on this site, Nicolas, concurs that IBB and QQQ will vastly outperform AU and GDX going forward. Remember in the movie “Goldfinger” things did not turn out well for the antagonist. AU is the favorite possession of dragons, which are one the most repulsive creatures to humans. As Spock would say “buy QQQ and IBB and prosper”. Valley, MA was and still is driving investors out of gold at a time history tells us that investors should be buying with sentiment at all-time extreme lows and stock markets at the other extreme that parallels 2001 almost perfectly. Whilst MA throws out loads of price possibilities, none of them are firm. He is more firm with time predictions. To be frank, I think the gold market has swung from wildly overbullish at the end of 2011 to overbearish now (and yet gold is already rising nicely in most currencies). Armstrong has taken dead aim at the gold promoters over the past few years, and he’s been right. MA sold his predictions for when gold will bottom, but who cares? It will bottom when the markets top in my view, so I expect that to be within 6 months. I think it’s been a rolling bottoming process for gold and the miners, so I don’t expect a crash in price from these levels, but if it happened, it would be a sharp plunge, quickly reversed I think. As I expect gold to at least reach $3,500 as the cycle unfolds (2-3 years max) and then to be rising steadily for many years, and then to finally have a moonshot as the LBMA/XAU system unravels, I just keep buying this long dip. It is not a trader’s approach, it’s my savings/retirement fund. Two years at these prices will prove to have been the buying opportunity of a lifetime. I do think MA knows a lot more about the world of markets and money than most, so I read him daily. One has to know what to take from one’s reading, we can learn from most, even young Nicky, as he is the current market embodied: mad, exuberant, foolish. Good luck to all, remember, nothing new under the….sun. John H, I have a post earlier about an EW perspective on the DJIA which has been showing awaiting moderation for over 2 hours. Is there anything more that I need to do or would you please have a look to see why it’s stuck. Thx. Went long at 2PM EST, will sell tomorrow. Lost on long IWM, gained on long GDXJ. Wash. Going to rest till next Monday. Valley, your potential scenario of a gap up day for today Apr 1, from what I have reviewed, has a shot of happening possibly tomorrow Apr 2 (if it is to even occur). I reviewed a similar past scenario that occurred on Feb 13 and it had just hit the top of a downtrend resistance line two days prior and then sold off to touch a support level and temporarily held. But if this even occurs, a word of warning, that it was a only a temporary intraday rally before selling off to an even lower low later that day with the sell off continuing into the following week. There is usually a nice gap up in early April before a substantial sell off pre US tax day. Maybe because we are near ATHs and market overvalued this year won’t have a gap up and just sort of drift lower into US tax day. Lunar chord is bearish next week, so I will only trade on short side. Just wanted to add to valley’s comment on gold… Martin Amstrong might be right that gold might dip lower, but I think the timing for that would be later this year, probably over the summer. gold is due for a 3 year cycle low, so his guess (just a guess I know) might have some merits. Imho gold has begun a wave 3 up after a brief retrace during wave 2. I expect more upside from here that gold hopefully will get back to the 1350 level during an impulsive wave 4. I am a GDXJ owner but day trade it. I love the industry and watch Kitco 24/7 just got burned in 2013 and am trying to figure out how to trade it profitably and not own in for more than a few months at most. Hecla (HL) is one of the largest juniors and its price some times triples in a few months time. That would be nice if it happened this summer. Hecla is in the GDXJ at the top of list. Gold stocks are extremely difficult almost near impossible to day trade. Over 30 years of investing has taught me that they are a buy hold intermediate/long term proposition. I won’t risk much of my account given those odds. If I succeed I will be in the .01% of traders. Wow! valley. I have great admiration for those who day trade and make a living by day trading. That is something that I personally am not able to do successfully. I trade cycles instead. Sometimes I got lucky with my counts, getting on the right side of the trades, and make profits for the full year during a few weeks. I see Q2/Q3 of 2015 as a great opportunity for gold/miners. Thanks for the tips on HL. It is one of my favorite as well. Another opportunity I am waiting for is an intermediate cycle low for stocks. I believe the correction is around the corner, this month, or May as the latest. Serious money can be made when stock market goes on the parabolic rise. HL is really solid. Been around forever. Cheap. Good size. On NYSE. Agreed it is a good stock. I am also looking for a correction in April of some size and a choppy May. I am new to game of trading but am going to continue it in some capacity as a hobby or full time. I smell a masacre looming in the USD in what is THE most lopsided trade in history! Nikkei way up 1.3%, seems like tomorrow may gap up after all. Well, Friday is a holiday, so usually traders like to wrap up a short week with a rally. This is still not the final top IMHO. May wait till late May or even August for that. Now I am expecting SPX to show more weakness but 1980-2000 should provide support. Then rally to 2150; Gold may reach 1240 now but should work toward triple digits later. Big rally in gold may coincide with crash in stocks both both are not due yet. Patience is required. I tried to post the following yesterday as a single post but it is stuck in ‘awaiting moderation’ so I’m going to try and break it into 2 parts and hope it will get through. For the record I’m closing my short DJIA at 17740. Enough for a cup of coffee. Target reached on Nikkei long so am out on that one, still have FTSE long running. Have added a half weight DOW long this morning with a 17450 stop. Good luck all. jegersmart, do you have a target in mind, please? Initially it would be resistance (as I see it) around 17750. I don’t really like the price movement at the moment though on the DOW, so moved stop up to 17610 for now as I feel a move in either direction could be quite fast. If 750 area is breached to the upside, I will reasess – likewise if I am stopped. Has money begun to rotate out of the USA and into the euro and emerging markets once again? ABC corrections often have A equal to C but another common pattern is that C has five waves and is 1.6 times A. “Hope springs eternal” but not for USA stocks this month as labor costs are rising, first quarter revenue is expected to disappoint (partly due to the weather), and the entire energy sector (uniquely large to an industrial economy) is expected to be downgraded –on an annual biases– for purposes of borrowing money. The USA downgrade of credit worthiness of its energy sector will send chills across many other USA companies and will be another reason for money to rotate out of the USA and into Europe and emerging markets. These are some reasons why the American “C” wave decline will most likely have five waves and easily be 1.6 times its “A” wave or larger…. Jobless claims in 30 mins, so I guess that may set the tone for the rest of the week? Purvez, just fyi and my opinion but if we close above 17750 area tonight I may look to add to the DOW long. My mistimed SPX long from 2062 which has been underwater for a while I may add to if we close above 2075-80 – although one thing at a time. I shorted Brent for a bit but fuked up the entry and the exit (still good profit) but things don’t seem to go very wrong right now which is why I am moving stops up to ensure I don’t get ahead of myself. Still, after all these years I feel a whiff of hubris which is a really bad sign and thats what my “rules” are for…. jegersmart, thanks very much for that extra info. We are currently back down towards 17700ish as I write. From the Wed overnight low to today’s high looks very much like a flat so the next move should be down imo. SPX still is around your entry point as I write. I’ve been out so couldn’t short again at the 17800 mark. Will have to find another point. Your point about whiffs of hubris are noted and it is good to see a trader so aware of that particular situation. My trade based on “advance vrs. 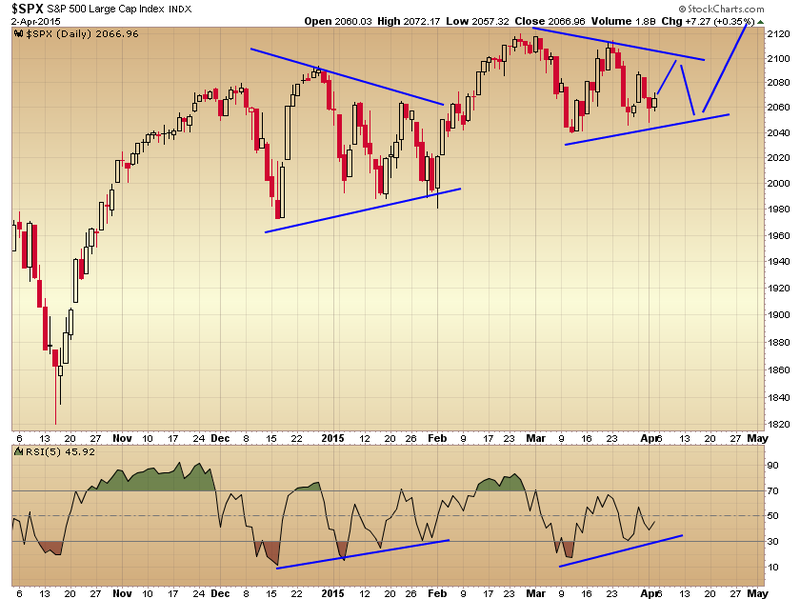 decline issues positive divergence and hooked (up).” at SPX 2,054 is panning out. Just sold at 2,071. Why I sold? Advance issues at 2,079 not hot enough. 50SMA and trend-line resistances. 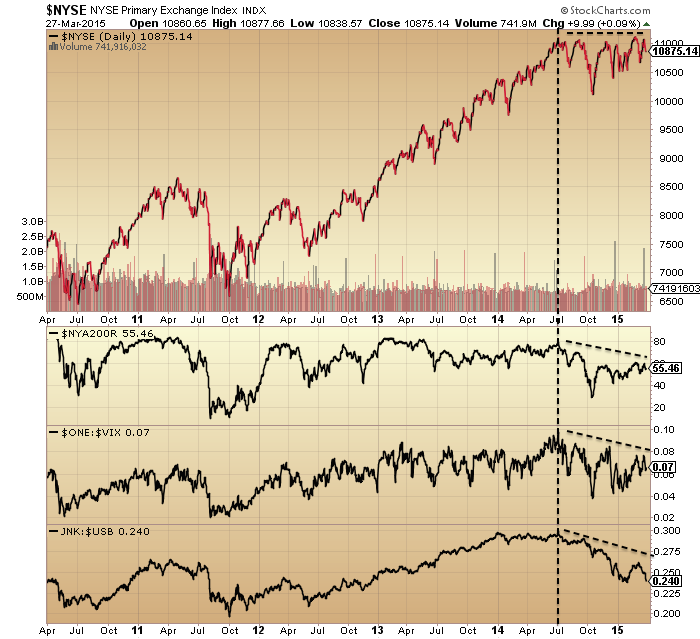 Declining profit and retail sales are headwind to SPX. Traders’ profit will likely come from trading not buy and hold. Newt your explanations of your reasons for your trades is proving very useful. Thx very much for that. Good point Newt, worth remembering imho. The DOW in a “third of a C” downward would go a long ways in explaining its behavior at its 100 day sma. When it breaks below its 100 day sma it will be more clear that it did so in a “third of a C” lower. A “third of a C” is about the same as the much desired “third of a third” that Ellioticians have wet dreams about. I continue to expect the DOW to correct at least down to its 200 day sma –if not lower. How about this wave count: 3/30/15 was a “c of B” correction wherein the “B” was truncated. Thus, today made another “c of 2” higher so that the “third of C” lower has just started with a truncated “B” as a powerful tail wind instead of the usual “B”. Either way; a powerful decline is likely to be just getting started. Richard, I could live that count very well too. Thx for the additional insight. Took profit on DOW and SPX, Dax and FTSE longs still open. Following on from my earlier 3 part post about a C wave down. I think we are now lining up for a 3rd of a 3rd wave down. (Time stamp – 2 Apr 2015 17:28 BST). If that is true then we will get quite a strong down draft here. Major stock crashes usually happen for two reasons: First; a bubble caused by incredibly liquidity; Second; the former abundant liquidity is denied. I don’t believe the ATH is yet in for US stocks but will come in this Fall. However, a major correction is underway primarily because a single sector that had massive liquidity is soon going to be denied that liquidity due to annual changes in credit worthiness: the Energy Sector. Because there is no similar energy sector in Europe, or many emerging markets, that major correction in those stock indexes is not underway like it is in America stock indexes. Until the dust settles, from that major and annual write down in the credit worthiness of the American Energy Sector, it is probably unwise to be long US stock indexes. Richard a VERY GOOD explanation of the ‘third of a C’ down cause. Good to know that fundamentals are lining up too. The annual credit worthiness of the American Energy Sector happens every April. However, the low in Crude is not expected until the last trading day of the May futures. Thus, once the credit downgrade is known to all the sell off in stocks could continue, until the price low in Crude is in, because of the fear of next year’s downgrade also being lowered due to low energy prices. If that happens then the “sell in May and go away” may also bite hard until consumer spending saves the day for US stocks. Note: the first leg down in an Ascending Diagonal Triangle is always the largest and I think that is what is underway for US major stock indexes (but not the DAX or some emerging markets). Thank you, Richard. Energy sector could be the catalyst for US market sell off, in addition to strong US dollar export effects. I am also looking for a very good post August 2015 to coincide with the election season in the US. FTSE long closed, only DAX remaining on indices. Richard, interesting points and observation – safety has to be a key focus in the current environment. We may be in SPX triangle since beginning of March. That would mean upward bias next week. Is the ISN of 38.4 from this site the official number? If so, 3/2015 was indeed the first month since the solar max where a -62% drop happened. For those who are interested in gold/miners and wave counts, this article is worth 15 minutes of your time. Thanks erick. As you know, I’m in gold and the miners for the long run. However, Dr McHugh is ‘one of those gold promoters’ that MA identifies. I agree with his long-term predictions (only I expect a much higher price than $7,000), but short term he seems to be struggling, currently predicting $1,400 for the end of 2015. Thank you gm. Agreed with you on Dr. Hugh. I always read his forecast with a grain of salt. I don’t think he is far off with his $1400 gold predictions though. What I envision is gold will take the resistance 1308 in April, and we are already at the very early stage of the new gold bull cycle. Also see the same with the failing wedge in SPX. Actually I am studying a lot of inverse Etfs recently and I am confident that John Hampson ‘ s scenario will play out soon. The last 3-4 days trading has really emphasized the importance of nailing a good entry by investing the hours upfront when entering a position. Granted, staring at a screen for hours is not the the most ideal method, some of you would have an alert and notification setup. Myself i enjoy screen time. The entry long at 2042 stands and it has allowed me to the ride the volatility we have seen over the last few days. Zooming out we’ve had indecision since early March aka the late Jan period before a break to the upside. Low range periods invariably lead to high range periods so were waiting for the big move. Im expecting a high in the region of 8 April into a potential low around 20 April. as per the longer time cycles. Within the smaller cycles were long but cautious, the market needs to get a shift on next week. A break below March and January lows could awaken the bear. You know that fluffy brown thing last seen since….oh i cant remember. geno, Happy Easter to you too and ALL HERE. Thanks very much for your 2 charts. I can see that you use a far better approach to profit taking than me but for the life of me I can’t work out how you arrived at that ‘box’. ‘That’ is the bit that I need to learn I guess. Purvez – The “box” consists of price and time based on the preceding move. You can count the bars if you need to on whatever charting software you use, or use fib time analysis along with fib retracement analysis. Hope this helps. Allan, to be fair to MA, he is not a perma bear on gold. In fact, he predicts an upper price of $5000. Also, he does not see the cyclical bear lasting more than 4 years. So that would take us to October 2015. Avi Gilburt concurs with MA, that gold will bottom in the next 6 months. He sees one more lower low. He’s made some good calls recently. He has similar upside price projections to mine….. to the moon. 20-30 bagger over the next 15 years or so. And just when (almost) everyone is queuing up to sell it to you. I might risk a few quid in NUGT Mark, if HUI gets to the 120 level in the summer. Hard to believe it will do that well, as HUI would only 4x back to previous highs. Have a look at the 5 year chart GM – NUGT was priced at 2100 only three years ago. No doubt the shenanigans that encouraged it downwards – slippage, decay, margin adjustments etc – will be turned against it on the way up. I recently tried to buy this and JNUG in my UK ISA (I previously held it in the same ISA), but was told “no sir, we no longer offer those”. And the leading UK spreadbetting company has recently shifted their decimal point two places to the right – in other words, you pay 100 times more to buy a bet in them now than you did a few months ago (and the margin requirement has increased proportionately). That’s one way to spot a good bet – when the financial insiders try to prevent you from buying it! I already saw the 5-year chart on your link Mark. Considering HUI has dropped by c. 75%, the costs of NUGT long-term must be huge, and I am sure will hurt on the way up too. Why not try an option on GDX or HUI or GLD, might give you more leverage? 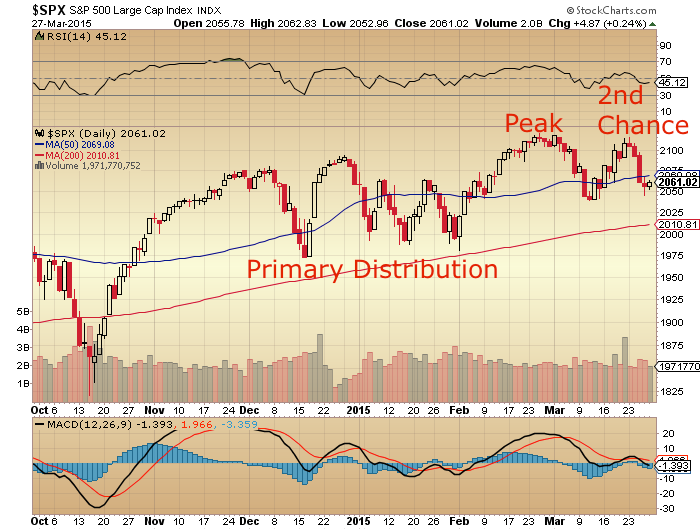 From a simple advance/decline and new high / new low perspective, the market looks healthy. jegersmart. A trader must have developed his/her own system and tools that work for him. If his/her system and tools have no edge, forget it. I went 2X short again shortly before the EOD, Thursday. SPX 2,040 is a magnet partnered with a negative MACD below zero-line and 50 DMA overhead. Watch lateral price support and don’t be distracted by anything else, …if the horseman fall off his horse, go get him. Margin Debt is still healthy too, so far. I notice that the US Total Stock Market Index (INDEXDJX:DWCF) recently reached $22Trillion – that’s 125% of US GDP. The 1982 secular bull started at around 35%; the 2009 cyclical bull from around 55%; and the long term average (since 1970) is around 75-80%. But it reached nearly 150% in 2000, so there is still some room for that ratio to increase – either by stock market gains, or by recessionary GDP. The first down leg of an Ascending Diagonal Triangle is not yet over. Both the disappointing NFP report and the Full Moon are going to help the Dow’s “third of a C” lower Elliot wave count to fall far and hard. Then will come the “fourth of a C” higher to be followed by the final “fifth of a C” lower wherein the “fifth” could “extent” meaning that it could have its own 5 wave count within it resulting in a deep correction below the 200 day sma before all is said and done. DOW futures sold off after the NFP report disappointed. Not only is there a Full Moon in this time period but also a Lunar eclipse with selling of US stocks picking up momentum as the week wears on. The S&P wedge has failed now, back to the October lows we go. Set no target. My man. Trade and take what the market would give or your target (bias) is going to fail you. e.g. failure to close short position. Remember the infamous P3 pronouncement by your famous Bob P. in 2008? Those who subscribed had loss their rear-end and are still waiting for market justice. You can become your worst enemy. Have no prediction. Just train yourself to own the ability to id the inflection point should be profitable. A wonderful sense of fulfillment. I went short again near the close EOD, Thursday at SPX 2,069. it should be very interesting coming Monday. Newt I hear you. I do tend to monitor progress of a wave but I also have a ‘vague’ idea of where I expect it to end. As I’ve said before my ‘profit taking’ skills are quite lacking and I’m trying to improve on those. Since our methodologies are so different, your’s is based on current indicators, whilst mine is based on wave patterns and therefore automatically involve an element of prediction. Newt it would be interesting to know ‘why’ you went short on Thursday EOD. What were the indicators that you were looking at. I had earlier said that we were expecting a down based on the ‘flat’ to 17800 on the DJIA. If this is a 3rd of a 3rd then we should see quite a substantial down wave on Monday. I’m still struggling to get the right info to look at in real time to make decisions like you are making. I first heard of the song by P. Clark when I was a kid..”Keep me Good Bye”. SMA 50 and EMA 13 were both teasing SPX price and sang repeatedly “My darling, keep Me Good Bye”. I meant Kiss me Good Bye. I am getting stupid. My trading long into this lunar seasonal “sweet spot” and losing .5% on the bet reminds me of the Petula Clark movie: “Goodbye, Mr. Chips”. All negative except distance (apogee,perigee) is decreasing which is bullish. Rare to see all Chords except one disharmonious in one week. Wish today hadn’t sold off in futures market cause this takes away some of the potential gains from entering short position on Monday. By the way, Uranus the planet of innovation and discovery is superior conjuct on Monday. So, maybe the bulls will discover that they were wrong and innovate by buying GDXJ my new favorite ETF for 2015. When bigwedge (TM) breaks later this year, the target is back down to 1,000, and in a hurry no doubt. Yes GM we are all living with probabilities. Not good start to a long weekend. I suspect most are saying the same and wanting to sell. imho SPX is defending support 2040 very well though. Until that support is broken, the bullish trend is still on. I think the markets might be choppy for a while before crumpling later this month or early May. The current intermediate cycle still has 20 or so trading days to go. Those who smartly went short at close yesterday may be in for a treat on Monday, when investors already had 3 day to analyze the poor employment report and poor economic outlook. I’ve remained short SM, long oil and long miners. Just the opposite of what master Nicolas is recommending. erick, sorry I but saying it is defending it very well is to stick your head on the block. Futures in after hours crashed following a list of negative developments. The DOW down over 200 pts at one stage. Monday may well open up the hole with US indices teetering on the edge of a very precarious cliff. Allan. I said 2040 based on this week. We’ll see what next week brings… Didn’t I also mention that I am also 100% short? I think newt said it best. Don’t predict. Don’t try to be bear or bull. Go with what the markets give us. I am not making the same stupid mistake I made last year which I was anticipating a major correction. Nothing wrong with being long and short as the same time as long as we are making a few pennies. I will be watching the oversea markets’ action on Sunday nite for clues if a sell-off may be coming on Monday for the US market. Anything can happen and bearishness can get dismissed on Monday. The market owes me nothing. Only thing that could steal this crystal clear bearish set up is the pre election year effect which says first 6 months of pre election year are the most bullish of the four year cycle. First 3 months this year were down, so if markets were to revert to the historical mean return, a rally until June would be required. I agree with you but a durable rally must start at a much lower price level than current to attract buyers. Traders have been too bullish. A pause to refresh now is the better remedy for Wall Street. Brutal trading in the futures session today, virtually no retracement at all. to be a smart trade imv. That looked an exaggerated move on yesterday’s futures. a more sizeable correction is underway. Phil, sorry to (maybe) appear to be perpetually disagreeing with you. The market is going to roll over very shortly, likely starting next week because it has been building up to that for months now. It has sweet f$%& all to do with a jobs report or Greece, it will be a result of cumulative market sentiment/activity, and the solar cycle turning down. (The things our blog host so calmly and sensibly shows us every week. Blindingly obvious it’s an inevitable process isn’t it?). Mainstream news seem to present it in easy-to-grasp little snippets: X is happening because of Y, it’s never that simple. However, you are free to believe what you wish of course! Phil I think posed a balanced view (he always does – the market will go up or down) so don’t think you are disagreeing with him. However, sentiment changes change for a reason or reasons. There are always reasons though we may not know what they are of course. The markets may have already rolled over so I have to be nimble with this long position potentially. You are right that the markets will inevitably correct, however that is of zero use to anyone who is making a living in this game. What do you gain by having this certainty? You will be right on Monday, or next week, or next month, or next year but how are you profiting from this view on an ongoing basis? I think it has been proved that solar cycles are no better than any other method here to try to see what is going on, there are always issues with timing, with not having the correct data until afterwards etc etc. just like many other systems or methods. These are tools that potentially add to the picture, they are not a trading tool on their own. Demographics, credit issue and all the other big picture data is valuable in my view only in longer term scenarios and only IF you can interpret them correctly. In order to see what a market is doing you have to look at the market itself. Price will always test levels above or below, some levels have been tested before, new levels are set. A price has to go high enough to produce more sellers than buyers, and vice-versa. Sometimes there are fake moves either way, and no solar or tidal activity system is going to give you enough granularity for that for trading. For long term investing, other factors come into play, and one might be able to wait for 18 months or 3 years for a decent correction to play out so you can get back in the game. When one is more active and making a living this is not a realistic view to have. Intellectually I know that a debt-based monetary system has to fail, I know that a company is not in reality worth 30% more or less than it was yesterday or 2 hours ago, but this is the mechanism we have to speculate with. I try not to get too caught up in the larger picture, and I have stop reading this blog sometimes for a while because it affects my view occasionally. I seek out knowledge, but I also have to know when to stop. As I said, you will be right at some point – on Monday or whenever it is, and I hope that it gives you some satisfaction and more importantly profit in your pocket. I would find it more useful though to hear from you with some general details of your trades, positions or timing and price levels (no amounts, just some info) so that I can follow your thinking. To give you my thinking on the DOW for example, I have 17450ish as a line in the sand. If broken, it would help convince me that for now we are going considerably lower. We are already in a short-term downtrend as I see it, let us see how deep this correction goes. My main point was regarding the over-simplification of X piece of data means Y market outcome. It’s never that simple. As for the markets turning next week, taking into account everything I have read here and elsewhere, yes, I fully expect it to begin next week. But I have stated many times I don’t trade, I accumulate gold and gold miners for the long term. Timing is therefore of little importance in that regard, the past 2 years have been a gift from the Gods, and the next few months too. Gm. I love your strategy on gold. I agree wholeheartedly that accumulating gold so far is a winning strategy. Best of luck. I am confident that this investment of yours will pay off handsomely in the years to come. Thanks erick, I appreciate your timing projections, good luck. The above view I outlined here approximately 12 months ago. many are in agreement it makes that outcome less likely. and outlooks and to challenge my own assumptions. Wishing everyone a good Easter break. The cycle has already rolled over Phil, one has to be blind not to see it. I don’t really understand this comment despite also being fairly heavily allocated to gold stocks in pension funds. The last few years has not been a gift from the gods unless you were invested in something else. It is too a myopic a view, and not only that but also supports the narrative that you have created – namely that “gold stocks are going to explode over the next few years”. I do think they will do every well, but I don’t see a multi-year bear market where a holder over the last few years has lost 50% of the value as a gift of the gods, thats just crazy talk. What you should have done was to see the price action and stayed away, not commit more and more funds and see it as a “gift” to be able to do so in the hope of a future outcome. Having been invested in Japan or China or US equities over the past few years would have allowed you to triple your pot for gold miners now, and of course because the price is much lower you could have had 5-6 times the amount of assets. I know we cannot predict the future, but one shouldn’t look at past mistakes as a “gift”. You have to acknowledge mistakes and learn, not twist it so it suits your narrative. Ho will you ever get better? (And I include myself in that, I started to accumulate gold miners in tranches from about GDX 23 downwards, I should have waited). Other than that, I disagree that time is not important. That is just an excuse for mistakes and / or poor performance. Every year that you make better returns, compounds over time and snowballs. To spend 3-4 years buying gold miners on the way down is a waste of capital. If you had had that money even in bonds you would have outperformed multiple times. By the way, I don’t mean this harshly – these are things that also apply to me and everyone else equally from my point of view. You have to take responsibility, admit mistakes and adapt. You talk about markets with certainty, despite being wrong for years. This mindset is your worst enemy potentially, it will hold you back from improving your returns. Yes, one has to have balls and conviction – but not delusion. It’s best to go with the flow, Newt put it pretty well: “this market owes me nothing”. Well, I hope that we both benefit from gold miner accumulation from whatever level but we are not OWED it, it is not a certainty. To clarify, I have a four figure sum in gold miners, which has been invested since November 2014, and let’s just say much more in physical gold, which I started accumulating in mid-2012. I will always put 90% of my surplus funds into physical gold, and will ‘speculate’ with the miners with the balance. My research has enabled me to ascertain that nothing will be safer nor provide a better return than physical gold over the rest of my days, and I’m not quite 48. So, yes, of course the opportunity to accumulate more gold at low prices for the past 2-3 years has been a gift for me, given my investment horizon, it’s been a dip I have greedily bought. I fully expect the gold to be worth tens of millions as I grow older. Maybe I will slice off some profits and diversify when stocks hit their lows periodically, but I will keep most of my gold until I sell it piece by piece for spending. The difference between me and most others is this is not a trade, it’s a reaction to the inevitability of what lies ahead, as a 100 year debt bubble is ‘handled’ somehow by the world. People seem to have forgotten the past (the 30s, the 70s for example), and assume the bubble of the 80s-90s til now is going to continue. Sorry folks, a rude awakening lies directly ahead. Gold will be the only asset to increase your buying power. Yes, the only one. However, time will prove all things, each to their own. 1. I am somewhat invested in gold and gold miners. 2. You *need* to be right unless you diversify. The moment mankind finds another way to store excess production for as long as it needs to (i.e. centuries), then gold is dead in the water. Until then, gold is unique in this capacity, and hence the opposite of worthless (you could have used the word useless). Very soon the world will once again realise that debt (whether fixed interest or equities or whatever) is NOT any sort of wealth, in fact debt is the opposite of wealth. You traders might ponder that in due course when you call your broker and no one answers the phone! It’s all debt unless you can hold it in your hand. Even currency is debt of course. Of course gold will one day be priced in something other than dollars, hell, that’s quite early on the road-map in fact. I am sure I will diversify in due course, buying some stocks for the long-term when they have reached a bottom (CAPEs in single digits), but certainly no point in doing that now. Everything else is a huge bubble. Ironically many seem to realise that, but still grasp for more versions of debt. Weird. Yeah, you have far more than you might imagine, given the dollar’s tentacles extend into every nook and cranny of everything financial. Thanks for the comments, and also for taking them as intended – i.e. debate. Allan, surely this is the reality with every trade? The market could rocket or plummet on any day unexpectedly? The flash crash of 2010 was a 300 point down day with another 650-odd points drop in 5 minutes or so. What was the level then? Did you foresee it? How did you protect yourself? I protect myself the same way on every trade as I have already described. As I said previously, my guaranteed stops that I pay good money for have not failed me yet – even in 2010. If there comes a time when they do fail, I also have strict rules as to what I can commit on a trade or in outright exposure. If a day comes when there are flash crashes in every market, and guaranteed stops are not honoured, then I will be lucky to not get wiped out. That to me, is a reasonable risk to take bearing in mind that I trade a portion of my assets. It is of course not as safe as what you seem to be advocating, which is not to trade or take any risk at all. That pretty much guarantees that you won’t lose money, or make it? :) I am not clear on what your ideas are or what your approach is, so I am throwing something out there in the hope you will share something. JS, it is about the collective. This market is overvalued to extreme, losing momentum, with complacency levels near record lows whilst price teeters just above pretty crucial support. The transports have been diverging for weeks, another negative and to be long going into a long weekend is throwing caution to the wind. This would not be the first time markets surprise by gapping down on Monday after a long weekend and it would trap a lot of bulls I suspect. Going long is definitely not a trade I would have been comfortsble with going into the WE. Thanks for that, of course you could be right and we will find out soon enough. By the way, did you read the point I have made about using guaranteed stops? You seem to repeatedly ignore this. It doesn’t matter whether the market gaps down or not, I have paid for protection and it has never let me down yet. Not even in 2010. Could you address this point if we are going to continue debating? I look forward to hearing a lot more info on what you are trading when you feel comfortable sharing. 2. Markets gap down and never recover during the day. I personally believe the catalyst is here for the correction. Economic outlook and earning season are supposed to be weak. Dollars are dropping down to an intermediate cycle low. Commodities rally for the next 4 weeks…etc. This could potentially be the beginning of a real correction, where the Oct low will be tested. My personal vote is scenario 1 while my hope is scenario 2 as I am fully short.